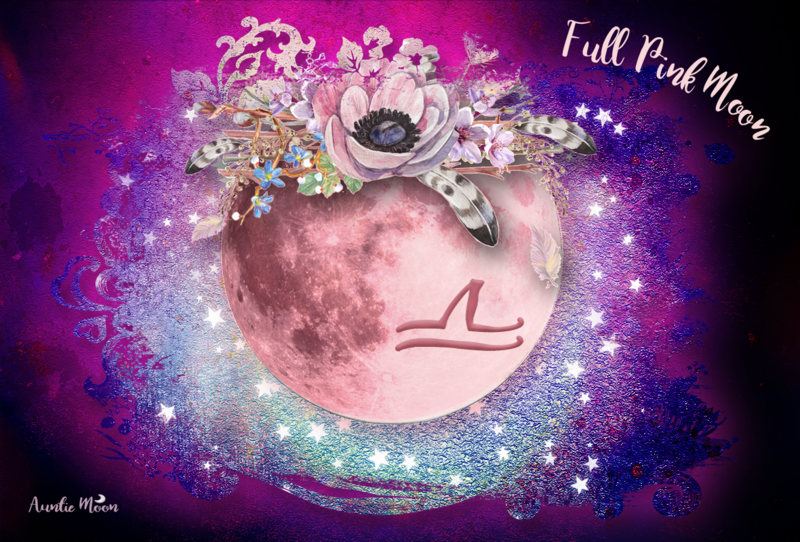 As the Moon eases into Pisces and enters her dark phase before the New Moon in Aries, try to find a few soft moments to refresh your mind and body. These few quiet moments could bring the inspiration for your New Moon wishes or gently blur the hard edges from any stresses that may have been overwhelming you lately. Here are a few tools that I hope will help you relax during the dark phase before entering the dynamic period of the New Moon in Aries, a month of concentrated effort and physical activity. The minor arcana tarot cards to meditate on now are the 8, 9, and 10 of Cups ~ the cards assigned to Pisces. The 8 of Cups belongs to the Pisces decan ~ the first 10° of Pisces ~ and has a very Neptunian influence. The second decan (10-19.59 °) is Moon/Cancer influenced. We can see this in the welcoming hospitality of our host in the 9 of cups. The last card belongs to the Scorpio decan (20-29.59°). The 10 of Cups usually shows a happy family under a rainbow. 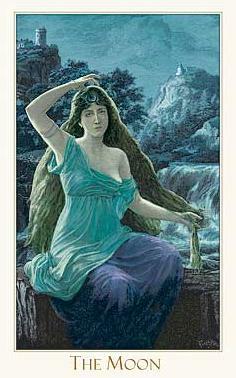 In the Victorian Romantic card we see Scorpio’s transforming promise of new life fully realized. The Moon is the major arcana card assigned to Pisces, a bit misleading but assigned to Pisces nonetheless. The High Priestess is assigned to the astrological Moon. This is one of my favorite Moon/Pisces cards from any tarot deck, especially for a Pisces Moon. The colors and flowing lines are so restful to the eyes. And since there is no actual Moon in the card’s sky, it’s easy to imagine that the setting of the card is exactly as it is during the dark nights of the Moon ~ hidden, but with us all the same. “Sweet dreams” is probably never more appropriate to wish someone than when the Moon is in Pisces. To help ease you toward peaceful dreams, try a cup of Bedtime Story, Relaxed Mind, or a simple brew of chamomile tea. If restless sleep keeps you from the dream world we all so desperately need, you might find a gentle relaxant helpful before bedtime. I’ve found Calms Forte helps me sleep more deeply and for a longer period of time. My husband ~ the master of wakefulness ~ has been using Bach’s Sleep Remedy, a spray composed of six remedies and finds it helpful. I found both of these at my local GNC store. If you like working with essential oils and aromatherapy, the old standard lavender is especially helpful for relaxation. Try a lavender bath before bedtime, a foot massage with a bit of lavender oil, or a lavender mist on your pillows before settling in for the night. Chuck the tv and listen to some dreamy music when you settle in for the night. Try dream incubation ~ asking for an answer through your dreams ~ as you drift off to sleep. Maybe our bodies know what our brains can’t immediately acknowledge ~ rest up before the Aries deluge! Now that we’ve laid back for a while, it will time to hit the Aries house issues. Mother Nature has been forcing that on me here in Rainy-land ~ six days of heavy rain which will break just in time for the New Moon. We just have to go with the flow. THANK YOU SO MUCH! AS USUAL, VERY HELPFUL AND EXTREMELY WELL DONE. JUST THE FINE TUNING INFO I WAS HOPING TO HAVE AS WE GO INTO THE BALSAMIC MOON. AGAIN,THANK YOU AND HAPPY ARIES NEW MOON TO EVERYONE!!!!!!!!!! Happy Aries New Moon to you, too, Joan! I’m rather excited about this one, more than I can remember in a while. Thank you for these calming thoughts and remedies. The rain is here too, way north, and said to be a long-staying rain as well. I love the thought of “Sweet Dreams” being just the talisman to ease into the full head of steam Aries New Moon. I feel the gentleness of this time and appreciate the calm now. 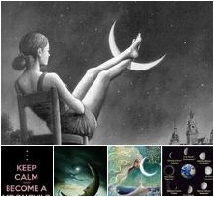 Hi Cj, thanks for all the wonderful information on the Moon in Pisces, heading for the New Moon in Aries along with the other bunch of planets joining in!! Looking forward to an action packed time ahead! Love Dr W Dwyer’s wise words of wisdom also. Many thanks and wishing you wonderful new beginnings during the coming New Moon in Aries this Springtime.